Over the last few years, auto-industry technology has come up with some exciting new additions to the road. Self-driving cars have moved from fantasy to reality, GPS navigation becomes more accurate every day, and movement sensors help prevent fender benders when you’re inching into that parallel parking spot. 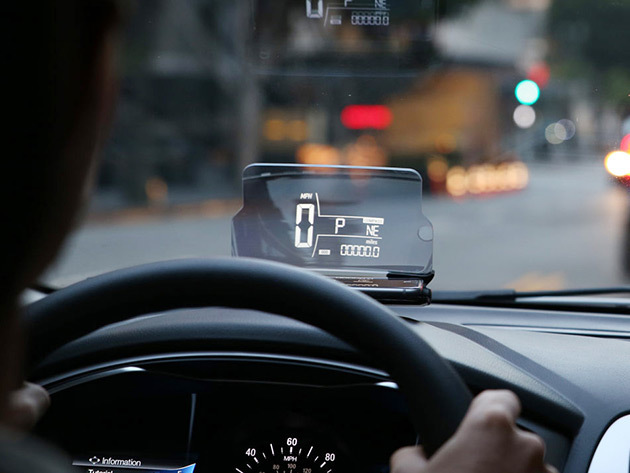 You don’t have to buy a brand-new luxury ride to take advantage of these innovations, though: the following five gadgets can turn any car into a safer ride. 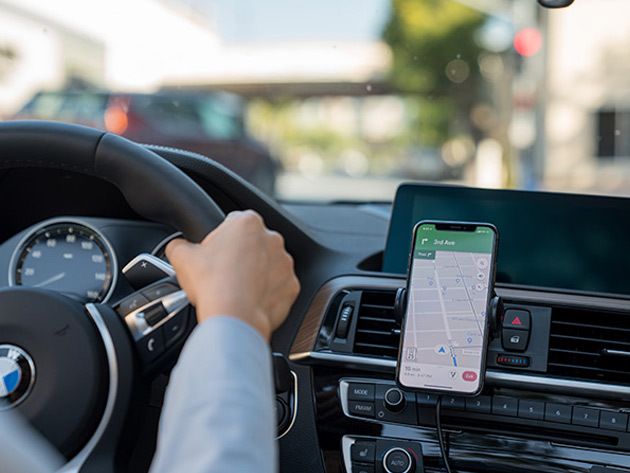 Relying on your phone’s GPS to get you from point A to point B can help you find the quickest route and avoid traffic for a faster, more relaxed arrival, but looking down at your phone while you’re driving is a dangerous endeavor. Hudly’s Wireless Car Charger and Mount clips onto your car’s air vents and rotates a full 360-degrees for a perfect view of your navigation. It also uses Qi-charging technology to juice up your phone while you’re on the road. 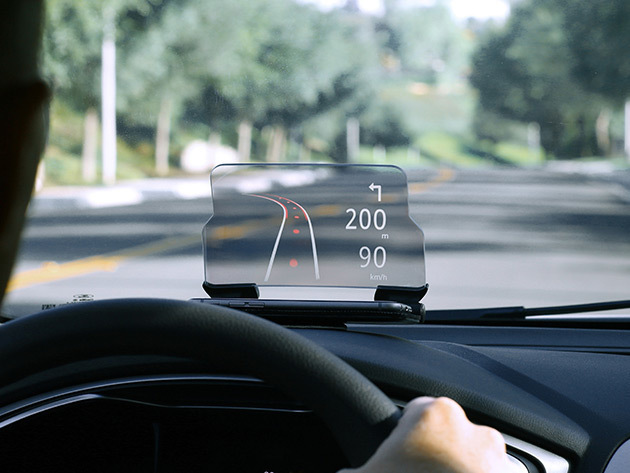 You can take your GPS navigation to the next level with this clever heads-up display. 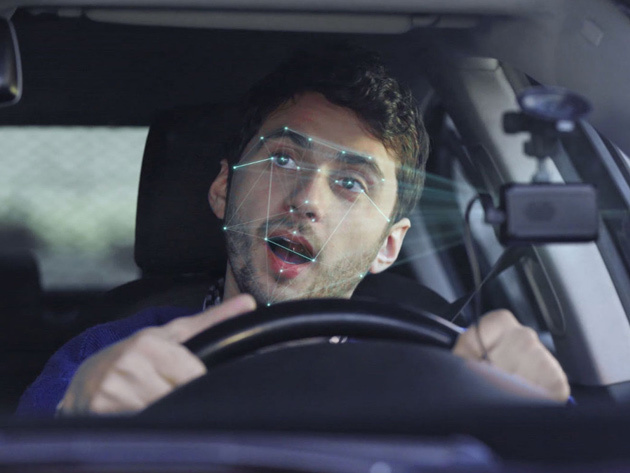 This device beams a see-through image of your phone’s navigation straight onto your windshield, placing it directly in your line of vision without blocking your view of the road. It also displays your speed and any other HUD-compatible app, so you’ll never have a reason to take your eyes off the road. 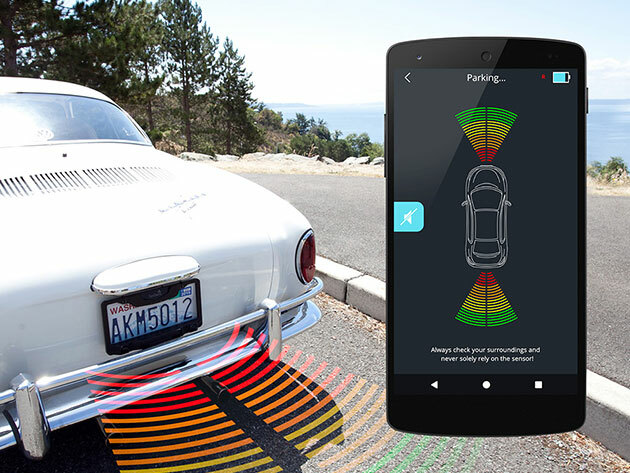 Parking sensors and front and back camera views are the new norms for luxury vehicles, but you can add that technology to any car with this smart license plate frame. 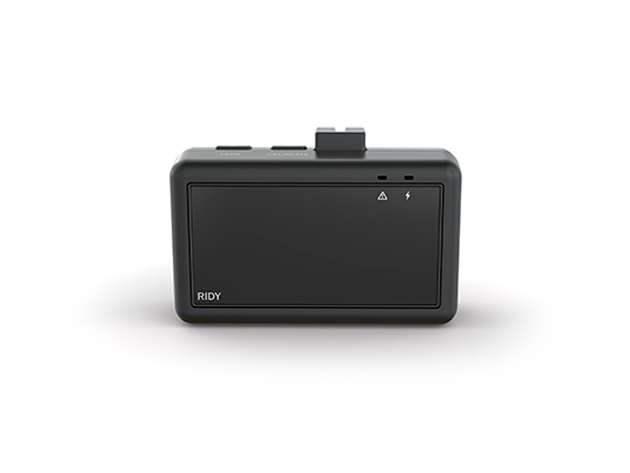 It provides audio, visual, and vibration alerts via your cell phone when anything is detected in front or behind your vehicle. 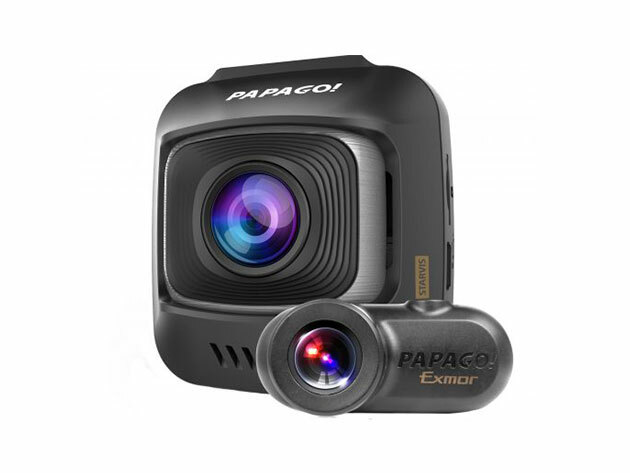 Dash cams add an extra set of eyes to your car, providing evidence in case of a hit-and-run or other vehicle damage. This cam’s built-in sensor automatically adjusts to the low lighting for a flawless video every time. The dual-channel system records both the front and rear of your car, and driver assist features like Stop Sign Recognition, Drive Fatigue Warning, and a Headlight Reminder make every ride safer. Distracted and drowsy driving can damage your vehicle and put you in danger. Ridy’s device uses artificial intelligence to analyze how frequently you’re blinking, your eye movement, and other facial expressions. If you look away from the road, it beeps and talks to you to wake you up and prevent an accident.